Do you really believe that? We sure don't. We know that twisted clown is up to no good and simply can't be trusted. The guy has an actual decapitated head rolling around in that burlap sack he uses to carry his juggling pins! If that's not a red flag then you may have to rethink some things in your own life... Our best advice is simple and we suggest you abide by it, just steer clear of Twisty. If you happen to be a two-headed woman or a boy with lobster hands then we suggest that you run as fast as your two legs will let you! The best way to avoid having your head end up in his burlap sack is to look just like this disturbing horror show character. They do say imitation is the best form of flattery. 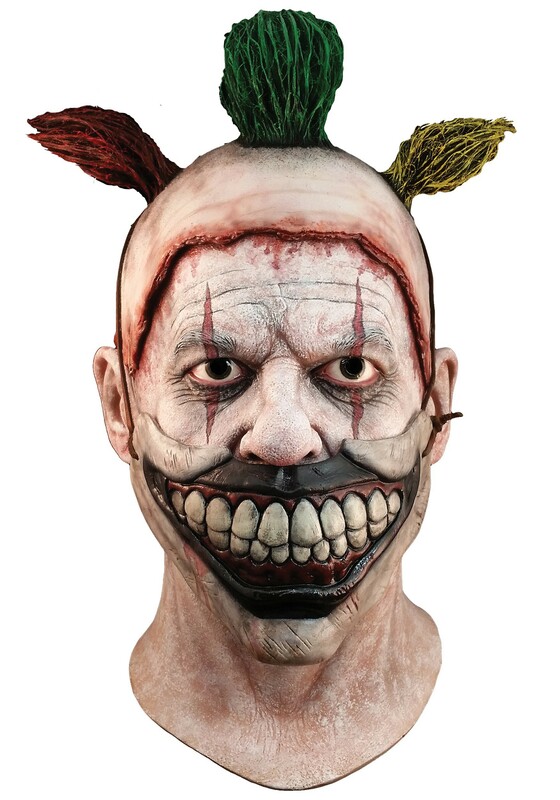 Get your hands on this officially licensed American Horror Story Adult Twisty The Clown Masks and your transformation is well on the way! Use this mask to complete the Twisty Costume we have in stock and you'll surely be able to give plenty of people nightmares this Halloween. And best of all, you'll definitely be able to avoid ending up on Twisty's bad side!